SurvivalBlog presents another edition of The Survivalist’s Odds ‘n Sods— a collection of news bits and pieces that are relevant to the modern survivalist and prepper from “JWR”. Defense Distributed just announced that they’ve released the jigs and software for completing Polymer 80 Glock 19 clone pistol frames on a Ghostgunner compact CNC milling machine. This makes a Ghostgunner even more versatile. I expect that still more software and jigs will be added for completing other Polymer 80 variants in the months to come. And then later, who knows? Perhaps a jig and software for SIG P320 80% trigger groups. That would be a dream come true. 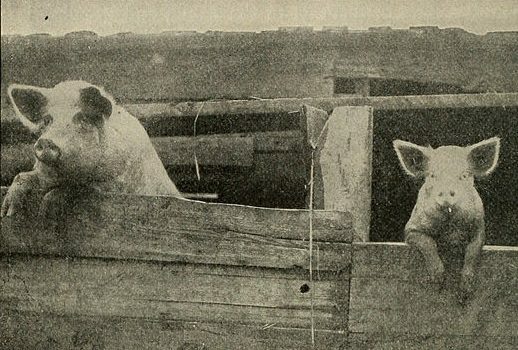 On the first Saturday in February each year, the Old South Farm Museum in Woodland, Georgia puts on a live, old fashioned “Hog Killin” and butchering demonstration that also includes classes on curing and smoking meat. Vendors also cook traditional southern recipes that use pork and pork products, using only wood fires and cast iron cauldrons. People from all over Georgia and surrounding states come to see this demonstration each year. It’s an invaluable source of information that can be used to become more self-sufficient on a small farm or homestead. Here is a map, showing the event location. And here is a link to a video. (Editor’s Note on the video: “Viewer Discretion Advised.”) Thanks to reader Tim J. for the information. We’ve added a lot more affiliate advertisers, to help generate revenue to keep SurvivalBlog afloat. Check them out. But remember: Shop with our paid banner advertisers first. 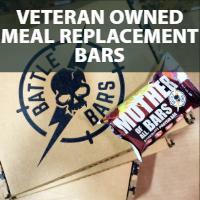 They deserve your business. Next, consider the companies that have generously supported our bi-monthly nonfiction Writing Contest. If none of those companies have what you are looking for, then shop with our affiliate advertisers. Finally, if you can’t find what you need, then use our Amazon link. 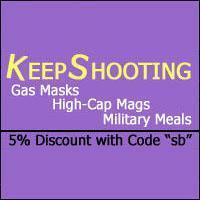 When placing orders with any of the aforementioned options, SurvivalBlog will benefit. Many Thanks! From the Associated Press: Fear and zeal over more guns in violence-plagued Brazil. JWR’s Comment: This piece was written with an anti-gun slant, but it does shed some light on the situation in Estados Unidos do Brazil. Please send your news tips to JWR. (Either via e-mail of via our Contact form.) These are often especially relevant, because they come from folks who watch news that is important to them. Due to their diligence and focus, we benefit from fresh “on target” news. We often “get the scoop” on news that is most likely ignored (or reported late) by mainstream American news outlets. Thanks! God works in strange ways. One of the countries where Christianity is growing the fastest is China where Christians are suffering severe persecution. Throughout history persecution of Christians has actually had the opposite effect of what was intended. It actually increased Christianity. Christians are forced to go ‘underground’ and thrives underground. Leaving New Jersey and other states. My experience with people leaving a blue state has been the people that have money or are in a business that doesn’t need more regulation/taxation are the ones to leave and are replaced by parasites. I believe the numbers stated are far from accurate, but time will tell. If wealth and jobs leave for greener pastures it will eventually have a negative effect on a states financial condition . As Margaret Thatcher has been accredited with “Socialism is great until you run out of other peoples money.” The exodus of money from a state will hasten the demise of their corrupt government, as more and more will become fed up with over regulation and taxation. If this continues I feel sorry for my grandkids as they will have been born as slaves. The growth in numbers is just one aspect of the effect of persecution on faith. It is also a fact that the faith so tested and refined is deeper and more enduring. When one gets to the end of his rope, most everyone will look up; when darkness strands the climber on the rock face, the wisest will seek a cleft in the rock. We learn from extreme situations. The “Learn Hog Butchering in Georgia” classes is for last year (2018) and not this year. This years classes have been “cancelled” but they mentioned it would be on again next year.